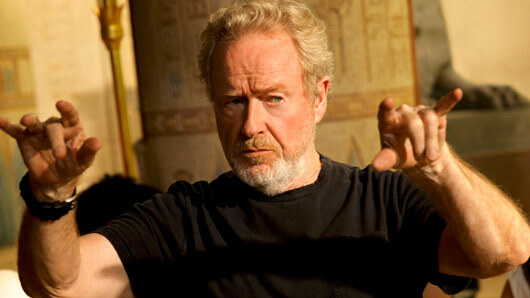 FOX US has ordered a pilot for a new supernatural thriller produced by Hollywood visionary Ridley Scott. The drama, titled ‘The Passage‘, is based on the books by Justin Cronin, which focuses on a post-apocalyptic world overrun by man-made vampires. It is described as a “character-driven government conspiracy thriller” that “morphs into a post-apocalyptic saga with vampires” by Variety, who broke the news. The first of three novels begins in 2016 and the series spans a period of ninety years, during which time humans attempt to survive and try to save the world. The series will focus on Amy, a young girl whose destiny is to change everything. Ridley Scott will be at the helm of the project, alongside writer Elizabeth Heldens, David W. Zucker, Adam Kassan and Matt Reeves. Justin Cronin will be a co-producer. Scott is famous for directing a number of Hollywood blockbusters in a career spanning nearly forty years. Amongst his works are Alien (1979), Blade Runner (1982), Black Hawk Down (2001), Hannibal (2001), American Gangster (2007), and Prometheus (2012). His film Gladiator (2000) won the Best Picture Oscar in 2001. Most recently, Scott directed the box office hit The Martian, starring Matt Damon, which made over $630 million worldwide in 2015.